We believe that the concept of Conscious Evolution can be a vehicle for collaboration, advancing our collective growth toward a world that feels more aligned with what’s in our hearts. When we make the conscious choice to evolve, our thinking, our behavior, and our lifestyles will align to create more nurturing harmony for ourselves and the world around us. Conscious Evolution feels like the best course for bringing about a healthier and more sustainable future for all..
We aim to provide support for those who are already on the journey of conscious evolution, as well as to inspire those who have yet to declare themselves transformational beings. 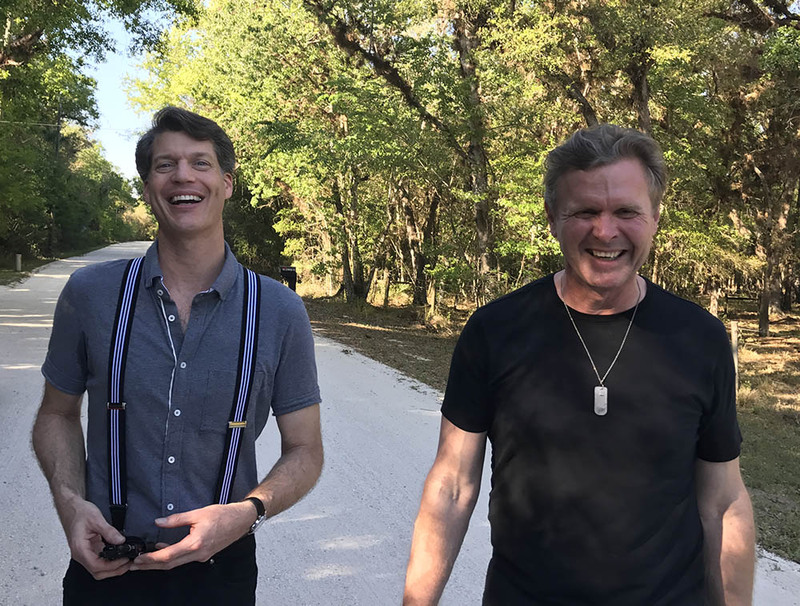 By connecting the dots between people who are making a difference, ideas that hold great potential, and opportunities for participation, our goal is to provide tools for those who choose to be co-authors of the next chapter of humanity’s story. The current phase of our human evolution began 150,000 or so years ago, and stems from over four billion years of life emerging on planet Earth. Whether we are aware of it or not, we are evolving as we speak, along with everything on Earth and in the universe. Given the hyper development of technology and its exponential growth, our evolution is gaining speed at our own hands as we steadily move toward merging with the machines we’ve created. Now is our crucial opportunity to take the reigns and shape what we become next. “Conscious” is defined as a deliberate and intentional act, being fully active and engaged, aware of one’s self, our surroundings, and the impact we are making. “Evolution” is the infinite process through which the whole mass of interrelated phenomena in the universe are developing through descent, leading to new, more complex biological, social, economic, and institutional forms. We define “conscious evolution” as the process by which we apply our ability to influence how and to what we, as humans, evolve. When we awaken to the fact that we have the power to affect our evolution, we make the conscious choice to radically alter the way we think. We intentionally open ourselves to new ideas and actively consider a multitude of perspectives. We learn to recognize when our subconscious programming, self-serving ego, or fragile emotional state is driving our decisions, and access our heart’s intuitive guidance instead. Our belief system, values, priorities, intentions, and behavior must all be examined to determine facets of our life where we can evolve. Recognizing that we seek harmony with the world around us, we embrace an attitude of nurturing toward all life. Engaging in conscious evolution helps us to achieve a deeper understanding of our individual place as a single cell in the super organism of humanity, our role as custodians of the Earth, and our innate connection to all things in the Universe. Conscious evolution is something we grow into that eventually becomes second nature. We apply our intelligence to gather data and make consistently improving decisions spurred on by the momentum we gain. We believe that our best course for achieving a quantum shift in our collective approach that will bring harmony to humankind is to pursue conscious evolution, something we can all get on board with together. Problems such as a polarizing political/social landscape, a widening gap of wealth inequality (and access to essential resources), and a distinct lack of hope in many people’s outlook for the future would be resolved through evolving past them into a mutually nurturing situation that promotes the thriving of all. To be effective, it will take a reconsideration of everything we “know” and every facet of how we live our lives. When our goal shifts from “making a living” to “nurturing our thriving”, we can reexamine our approach to everything we say and do to align with accomplishing that life-affirming pursuit. After a hundred years since its inception, the need to implement this revolutionary concept is clearly more relevant and urgent now than ever. Let’s finally embrace conscious evolution after 100 years! 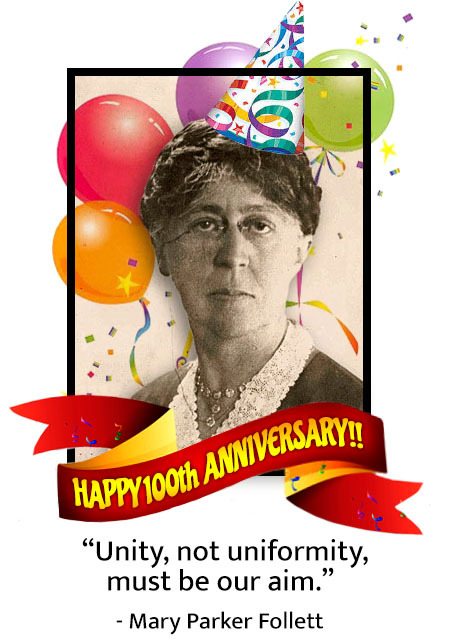 The phrase and concept of conscious evolution was first coined a century ago by management consultant and social worker Mary Parker Follett in her 1918 book The New State. She saw conscious evolution as the solution to society’s problems of divisiveness and self-destruction brought on by our compulsive and shortsighted actions. 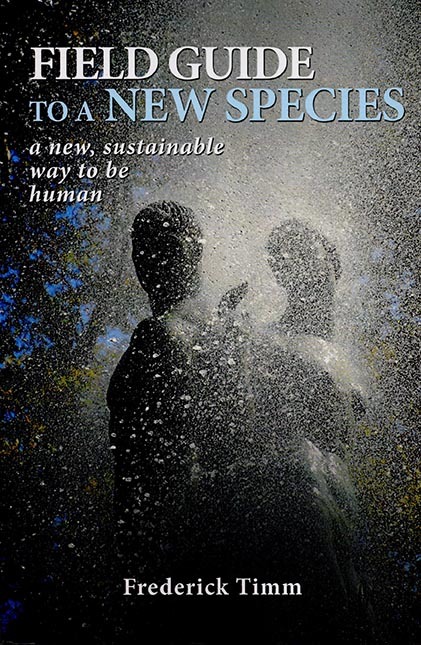 Barbara Marx Hubbard’s visionary 1998 book Conscious Evolution is how we first became aware of the concept, as she laid out what is possible when we choose to evolve into what she calls Homo universalis or universal human. 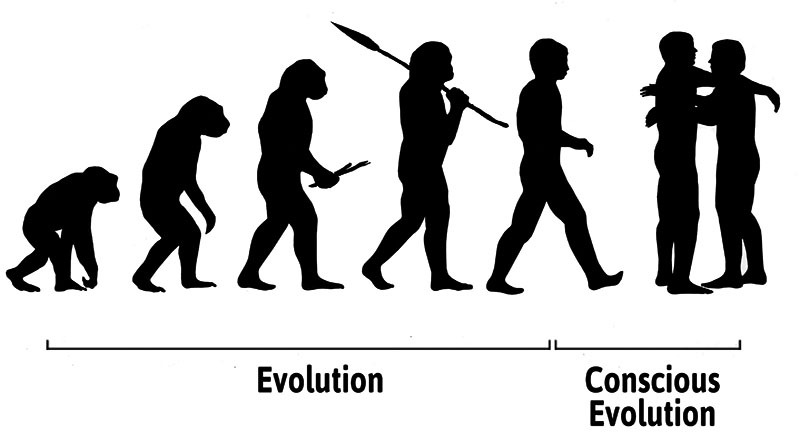 Since learning about it, we have noticed that the concept of evolution is applied by many visionaries as a tool for improving our world in a dramatic way. 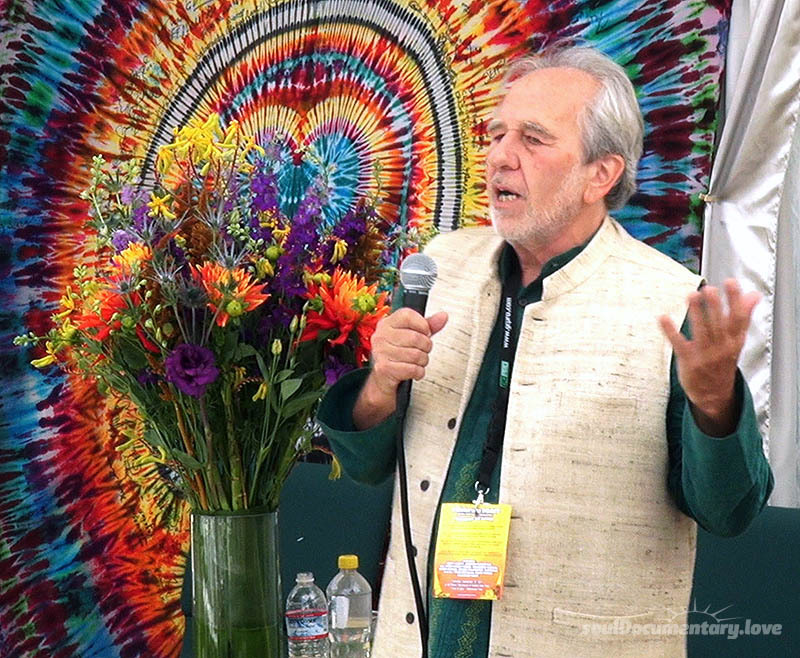 Another huge proponent of conscious evolution is cell biologist Bruce Lipton Ph.D., who recently held a lecture called Conscious Evolution: Thriving in a World of Change. In their inspirational book Spontaneous Evolution: Our Positive Future (And a Way to Get There from Here), he co wrote with Steve Bhaerman, they refer to our biological imperative, or the “drive to survive” and how the wheels have long been set in motion for us to evolve toward one united human family. Other brilliant visionaries have helped us thrive with hope for the future by employing the themes of conscious evolution as well, although not specifically using the phrase. Jacque Fresco showed us that in a mere ten years we are clearly capable of changing the face of life on Earth to one in which all humans enjoy a high standard of living. He is confident that this dream is possible by employing our innovation and technology along with the vast natural and human resources available to us. By using the extensive methodologies prescribed in his books, videos and talks, he is confident that his model can become a reality. Frederick Timm, in his enlightening book Field Guide to a New Species: A New, Sustainable Way to Be Human, describes many facets of our evolution into a new evolved being he calls Homo veritas or truth human. He delineates four categories of human beings, each in a different place along the evolutionary path to consciousness: Homo sapiens, Rebels, Seekers, and Homo veritas. We consider ourselves to be Seekers; those who have awakened to the programming and distraction of our culture and have gotten beyond our rebellion against the system that brought us to this state. This leaves us free to focus purely on co-creating a future in which our common goal is nurturing life and consciously evolving into Homo veritas. Listen to Evan’s audiobook version of Field Guide to a New Species on Amazon. “We are all one, we can’t not be! Gaining this understanding is a critical step on our journey toward conscious evolution, as it forces us to re-embrace the undeniable scientific and spiritual truth that all is innately and irrevocably connected. Our conclusion is that we’ve been systematically programmed to devolve into what we call Homo distractus or distracted human, and are not able to recognize and face the reality of our plight. Can we awaken to this situation, turn the page of humanity’s story, dip our quill into love’s ink, and write the next chapter in time to save us from our own “progress” and “success”?